The traveler in me was always keen on exploring new holiday destinations. So, this time I decided to set out on a journey through the beautiful locations of southern India. The picturesque landscapes, pristine beaches, and iconic monuments were calling me, and I had to go. What better way to explore the scenic meadows of South India than to be aboard on the Southern Jewels trail of the Maharaja Express train. This 7 nights and 8 days journey was an unforgettable one. On day one, I boarded the train at Trivandrum and we departed from the Kochuveli Railway station. Dinner was served on board which included a variety of delicacies bursting with south Indian flavours. Then we meandered through Kerala to arrive at Chettinad in the early hours of the next day. After a good night’s sleep in my comfortable cabin and a hearty breakfast, the passengers set off to indulge in some sightseeing. I visited one of the Heritage Hotels of Chettinad and got to enjoy some local food, shopping, henna art, and much more. Post all the fun, I returned to the train and got into my royal cabin for some rest as we headed to our next destination - Mahabalipuram. I got a chance to witness the grandeur of Arjuna’s Penance and Shore Temple, which are UNESCO World Heritage Sites. After soaking in the folk culture and history, I boarded my train again. On day four, the train entered the royal city of Mysore where I visited the Mysore Palace; the epitome of royalty and extravagance. In this regal city, I enjoyed a rich lunch at the Lalitha Mahal Palace Hotel and continued with some more sightseeing. 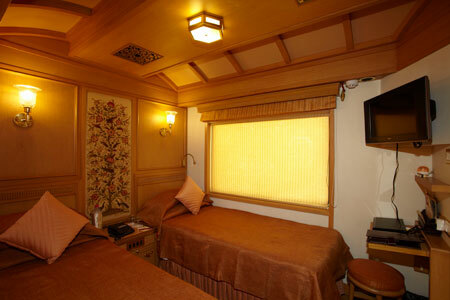 The comforts of the Maharaja Express awaited me as I returned in the evening. 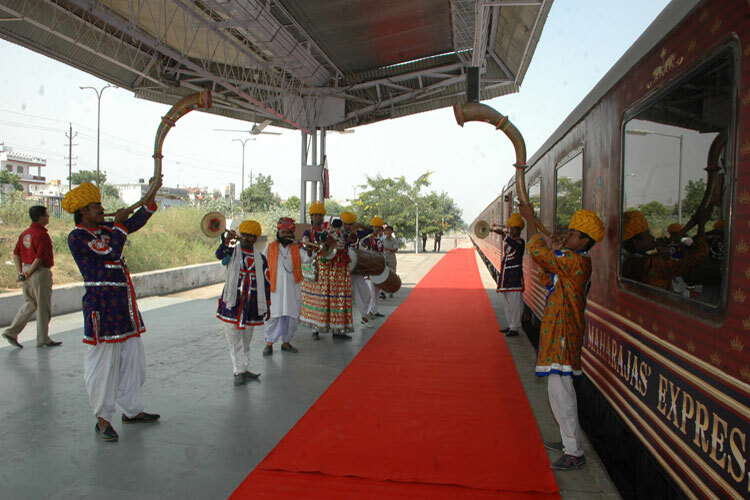 The reason I had such a comfortable journey was the well-thought amenities in the train that included environment-friendly toilet systems, electronic safe deposit box, LCD TV, direct dial phones and WiFi internet connectivity. The fifth day kick-started at Hampi, which is famous for the historic ‘Ruins of Hampi’. After a little bit of wandering around I decided to head back to the train to rejuvenate myself in their world-class spa center. As it began to get dark outside, the train headed to Goa. The next morning, I woke up in the land of sun and sand. Post an onboard breakfast session, I hit the streets of Goa and took off on my own to explore the beautiful beaches, shacks, and forts. I spent the entire day chilling, shopping, and taking in the fun Goa vibe. As this was the last destination of the Southern Jewels tour, I wanted to capture as many memories as I could. On day eight, as the train came to a halt at Mumbai, I savoured my last breakfast on the train, completed some formalities, and headed home with a bag and heart full of memories. The Worldwide Rail Journeys’ website came to the rescue while planning the most perfect trip with their prompt booking services. Their expertise in the field made the booking process smooth and simple. This journey on the Maharaja Express helped me discover many new places in the Southern parts of India that left me overwhelmed.